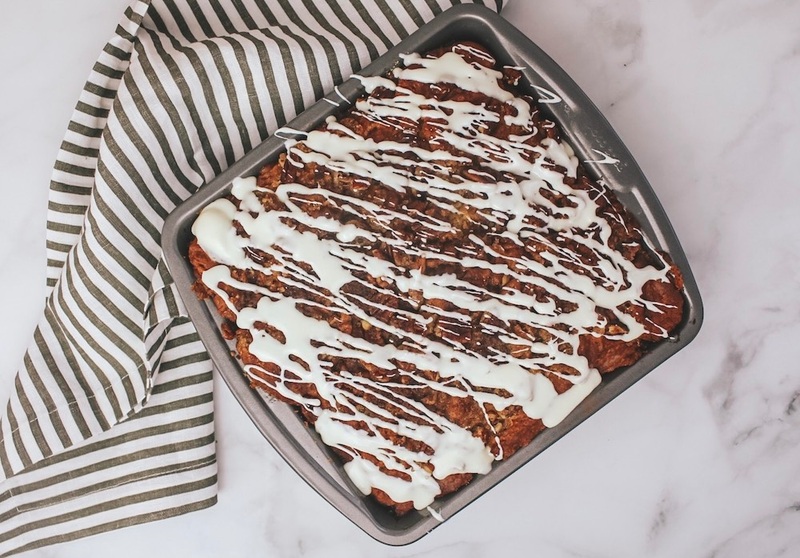 I love hosting people and coffee cake is a perfect thing to have on hand. 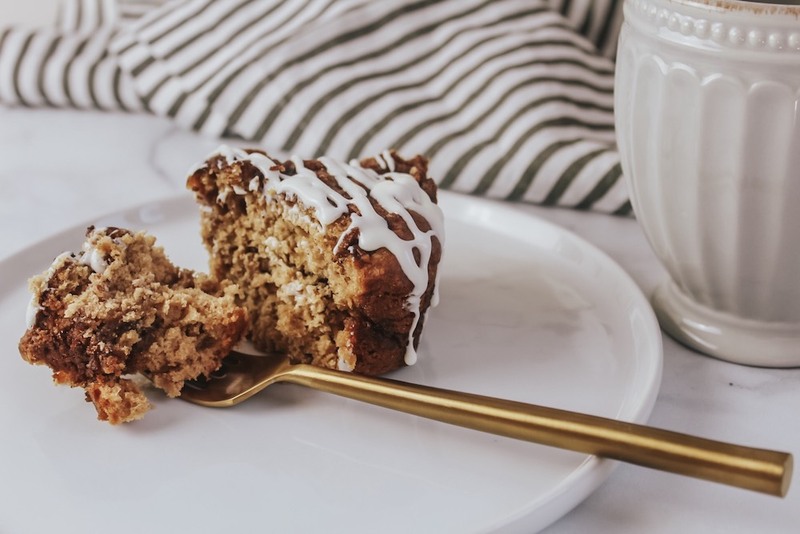 Offering someone coffee cake and a hot beverage is akin to saying “my house is your house… get cozy, get comfy, let’s catch up!” It’s warm and it’s casual and inviting. In this delicious recipe, I played with coconut sugar instead of traditional cane sugar. Coconut sugar has fiber, vitamins, and minerals—so it’s absorbed slower by the body compared to other sweeteners. It’s rich in taste, with hints of molasses or brown sugar, and it’s darker and more coarse—but it’s absolutely perfect in this recipe. This recipe was sponsored by Standard TV & Appliance and for this recipe I used KitchenAid products! KitchenAid recently celebrated their 100 year anniversary. To find KitchenAid appliances and a whole bunch of other kitchen appliances, check out Standard TV & Appliance in Oregon! 1. Preheat the oven to 350-degrees F. Prepare a 9x9 baking dish. 2. Toast the pecans stovetop; add butter, sugar, and ½ cup coconut sugar to the pan over medium-low heat and mix until butter is just melted. Remove from heat. 3. Combine flour, sea slat, baking powder, and baking soda in a mixing bowl. Set aside. 4. Cream together ½ cup melted butter and coconut sugar. Add in eggs, one at a time, vanilla extract, and then sour cream. 5. Add the dry ingredients into the wet ingredients, mixing thoroughly. When batter has formed, spoon half onto the bottom of your prepared dish. Then, spoon half of the pecan-cinnamon mixture onto the batter. Cover the pecan mixture with the remaining batter, and then top with the remaining pecan-cinnamon mixture. 6. Bake for 45-50 minutes, or until a toothpick inserted into the center comes out clean. Drizzle with glaze if you prefer. Serve with coffee or tea for a delicious treat!